Mexico has gained territory within the U.S. import market. The U.S. imported goods valued at $70.3 million from Mexico during the first trimester of 2016, that is 13.7% of all goods imported into the U.S. are from Mexican origin, with the greatest participation in total exports on record since 1987. 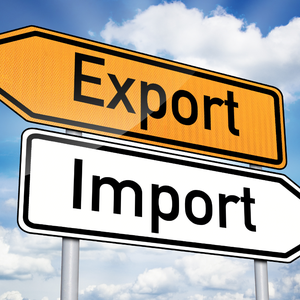 Mexico has gained territory within the U.S. import market. It is currently the second major source of imports, coming after China, which represents a 20.1% of totals imports. Just during the first trimester last year, Mexico came in third after Canada, who accounted for 13.8% of total imports into the U.S., while Mexico accounted for 13%. Nowadays, Mexico represents 13.7% and Canada accounts for 13.1% of total imports.